Dr. Klaus Wunderlich receives DFG funding for research on decision making and learning and will join the BCCN Munich with his group in spring 2013. Dr. Klaus Wunderlich is interested in the neural basis of decision making in humans. In his research he uses brain-scanning technology and computational modeling to investigate the neural processes that the brain employs to solve choice problems. Starting this year, he will be heading an Emmy-Noether-Group at the Ludwig-Maximilians-Universität Munich and will be affiliated with the Bernstein Center for Computational Neuroscience (BCCN Munich). Our brains contain an intricate architecture of neural systems to help us make decisions. Studies have long suggested that two complementary strategies govern our behavior: cognitive planning allows us to solve problems on-the-fly and determine which action leads to a desired outcome. An example of this would be searching the decision tree of possible future moves in a game of chess. On the other hand, experience-based choices develop through trial-and-error over a long period, happen automatically and without us having to think about them – for example, the decision to turn right out of your house to begin your journey to work. Using functional magnetic resonance imaging (fMRI), which measures activity in the brain, Dr. Wunderlich recently tested this hypothesis on human subjects. He was able to identify neural signals related to the computational processes underlying planning on the one hand, and choices based on learnt values on the other. Those results provided direct empirical evidence that two distinct systems operate within the human brain for planning and experience-based choices. However, many open questions remain. For instance, it is still unclear how and to what extend information is transferred between both systems, and what factors govern which system controls behavior. In his newly established Emmy-Noether-Group, Klaus Wunderlich will address these and related questions in the field of decision making and neuroeconomics. At a more general level, the expected findings may also bear on a number of important clinical problems, for instance the question of why certain diseases selectively affect specific aspects of behavior. Munich offers unique collaboration opportunities between groups at Klinikum Grosshadern and the Bernstein Center and therefore provides an ideal environment to explore those areas. Before coming to Munich, Dr. Wunderlich was a fellow at the Wellcome Trust Centre for Neuroimaging and the Gatsby Computational Neuroscience Unit at UCL in London. He obtained his undergraduate degree in Neuroscience at Goettingen and Princeton, followed by a PhD in Computation and Neural Systems at the California Institute of Technology. After eight years abroad, Dr. Wunderlich is now looking forward to his future appointment in Germany. The Emmy Noether program of the German Research Foundation (Deutsche Forschungsgemeinschaft, DFG) enables outstanding young investigators from around the world to set up an independent research group in Germany. The Bernstein Center Munich is part of the National Bernstein Network Computational Neuroscience (NNCN) in Germany. 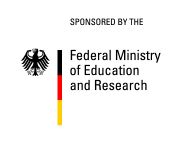 The NNCN was established by the German Federal Ministry of Education and Research with the aim of structurally interconnecting and developing German capacities in the new scientific discipline of computational neuroscience. The network is named after the German physiologist Julius Bernstein (1835–1917).